The GE Whole Home System Replacement Filter reduces more than five contaminants in your water, including chlorine, bacteria and sand. 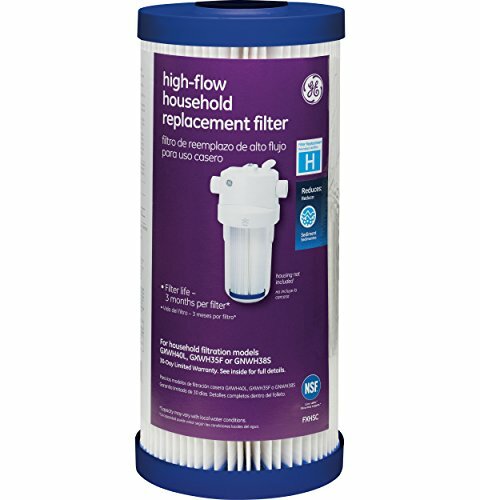 Includes one replacement filter compatible with the GXWH40L and GXWH35F systems and made for simple and easy filter installation. Recommended replacement every 3 months or 24,000 gallons for fresh, filtered water throughout your entire home. NSF/ANSI certified.